1 װױל צו דעם מענטשן װאָס איז ניט געגאַנגען אין דער עצה פֿון די רשָעים. און אָן זײַן תּורה טראַכט ער טאָג און נאַכט. און אין אַלץ װאָס ער טוט װעט ער באַגליקן. און דער װעג פֿון די רשָעים װעט אונטערגײן. 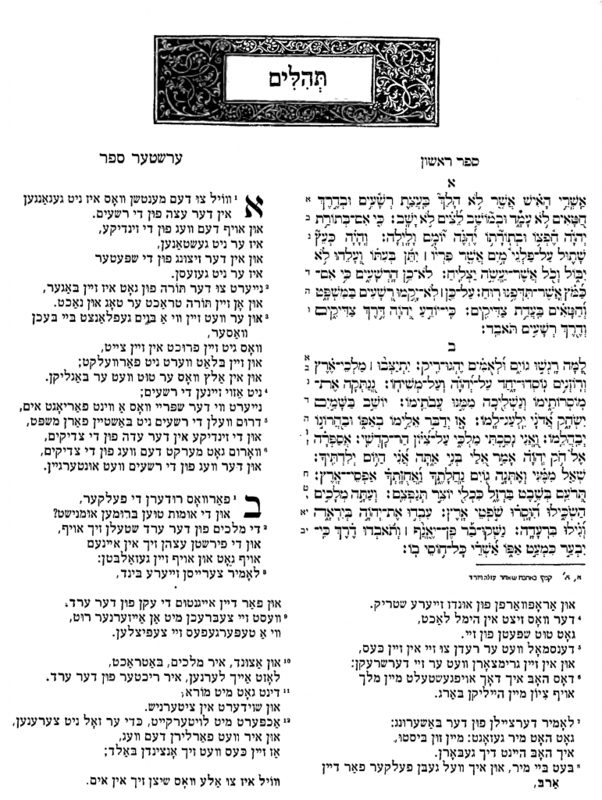 This is a faithful transcription by the Yehoyesh Project of the Yiddish translation of Psalms 1 made by Yehoyesh Shloyme (Yehoash Solomon) Blumgarten (1870-1927) published in Torah, Neviʼim, u-Khetuvim vol. 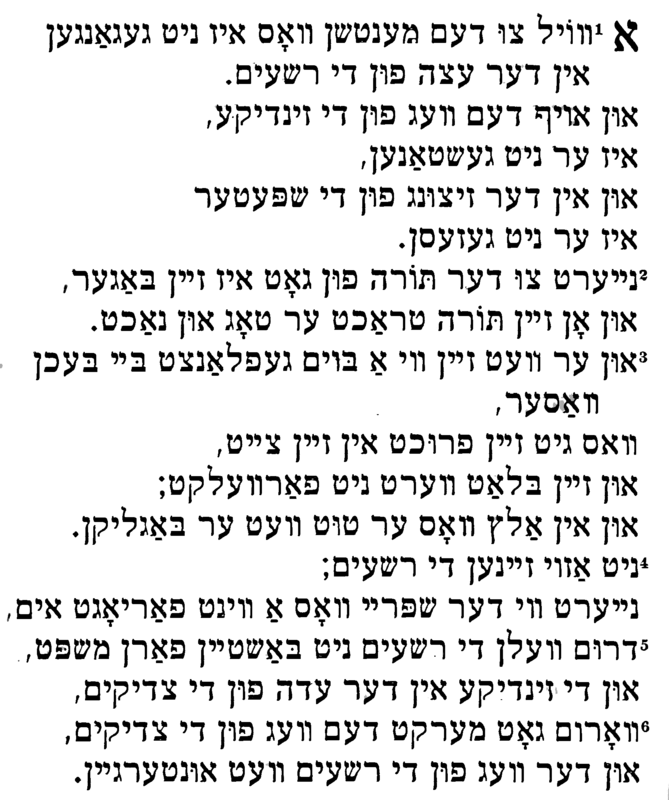 2 (New York: Yehoʼash Farlag Gezelshaft, 1941). The complete transcription of Torah, Neviʼim, u-Khetuvim by the Yehoyesh Project in copy/pasteable and searchable plaintext may be found here. 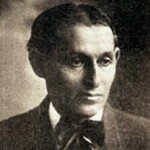 “תהלים א׳ בלשון ײִדיש | Psalms 1 in Yiddish (translated by Yehoyesh Shloyme Blumgarten ca. 1920s)” is shared by Yehoyesh Shloyme Blumgarten (translation) with a Creative Commons Public Domain Dedication 1.0 Universal license. Please reciprocate for any adaptation or redistribution of this work by (1) properly attributing the work to Yehoyesh Shloyme Blumgarten (translation) and The Yehoyesh Project (transcription), (2) clearly indicating the date you accessed the resource and whether any changes have been made (and if so, please be in touch with us and leave a comment below so that we might note your adaptation or improvement), (3) providing a link back to this source, and (4) specifying the Creative Commons Attribution-ShareAlike (CC BY-SA) 4.0 International copyleft license under which this work was shared.